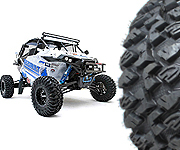 EFX Motoclaw tires feature a non-directional tread, strong casing. The tread design is spaced precisely to provide a smooth ride under intense terrain, yet far enough apart to climb rocks and find traction when its needed! Motoclaw tires feature a heavy load rating at 1,000 lbs per tire. Perfect for heavier UTVs and Side-By-Sides. The lugs are incredibly strong and the tire features build in rim guard and wrap around shoulder lugs. Very stiff tire casing. 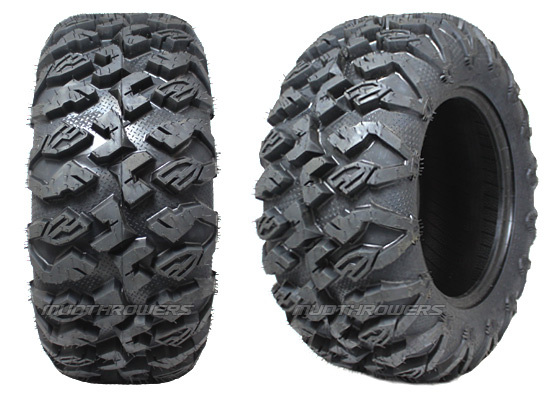 27" - 33" tires carry 8 ply rating, radial construction!